As is the plant itself. 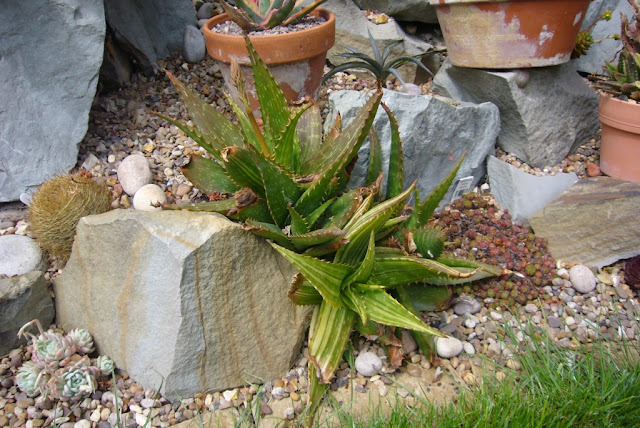 The variegated aloe saponaria is also showing what a mild winter it was. 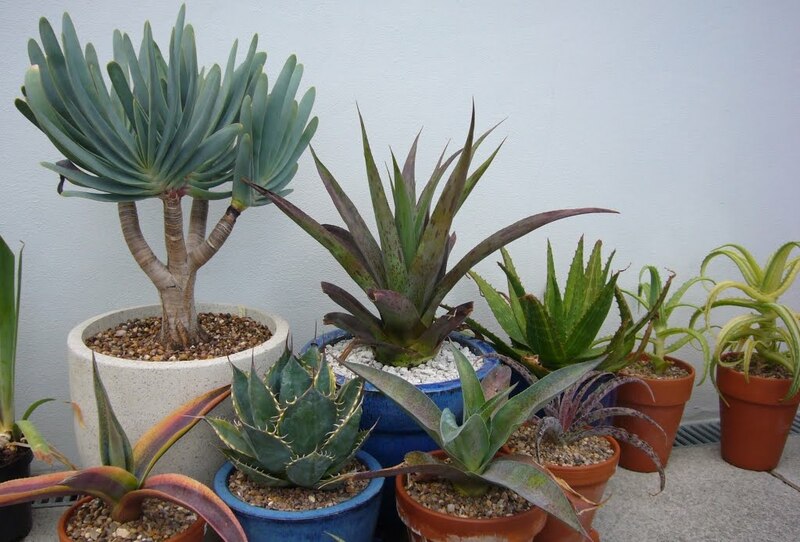 I may dig these up this year and replant just the main variegated one, the others are a bit more green. 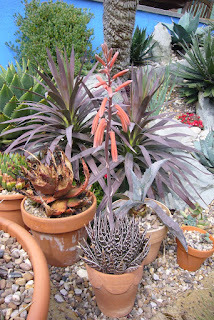 The aloes in pots don't want to miss out. 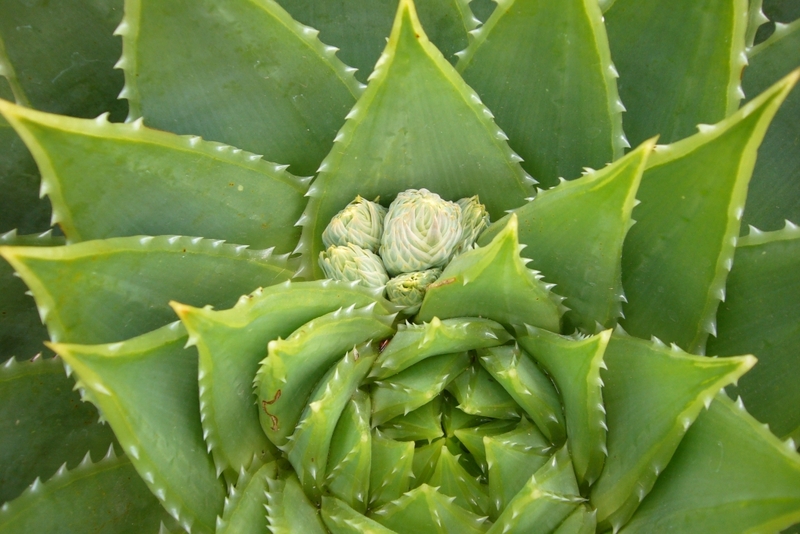 This one, apparently called aloe Tiki Tahi, got in early. There are lots of others in flower as well, but as they don't stay outside all year, I will limit this post to the really tough plants. Strangely the more common plants are being really slow; no sign of flowers on aloe aristrata, or striatula. The big question is going to be what to do with the polyphylla flower; do I try and polinate it? 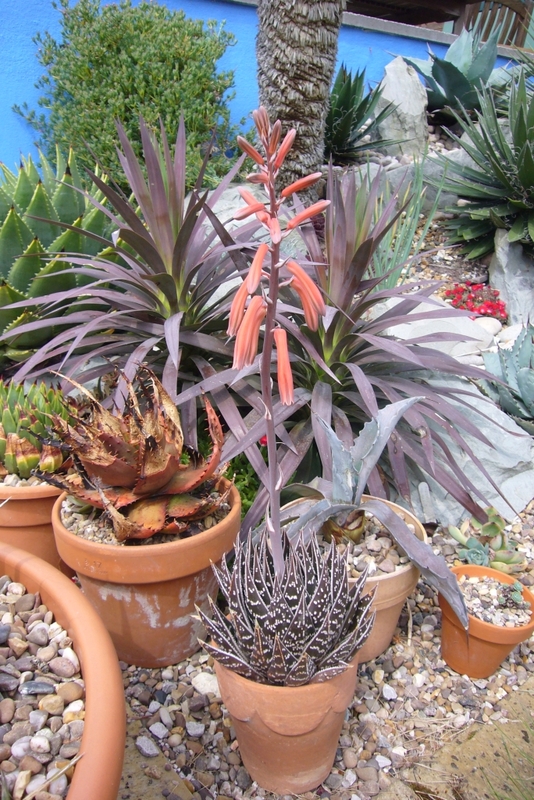 Apart from the aloes in the garden, a friend has just found theirs is flowering as well. So there is a chance to swap some pollen. Sadly she's not in the closest of locations, but it would be an excuse to drive over to see her garden and she lives around the corner from two great nurseries. 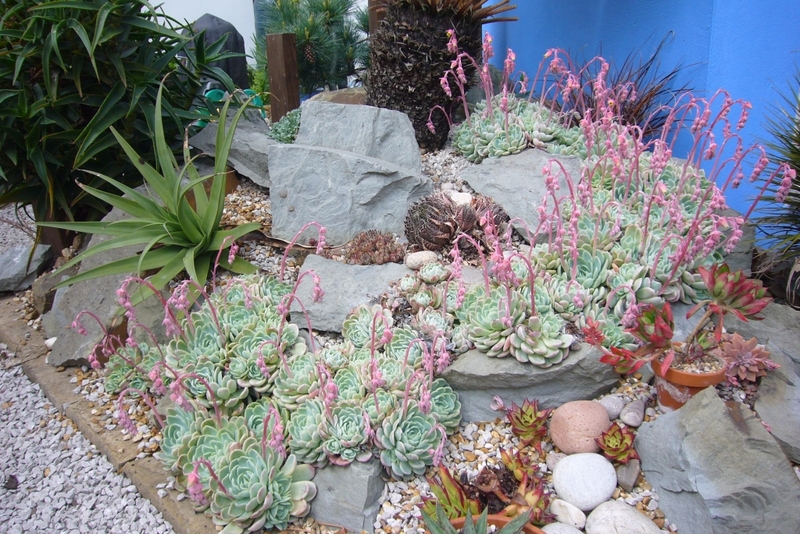 The echeverias after also flowering away, the echeveria elegans stream gets better every year. There are a few gaps where plants didn't make it, but they are fillig out quickly and by the end of this year it is going to be overflowing. 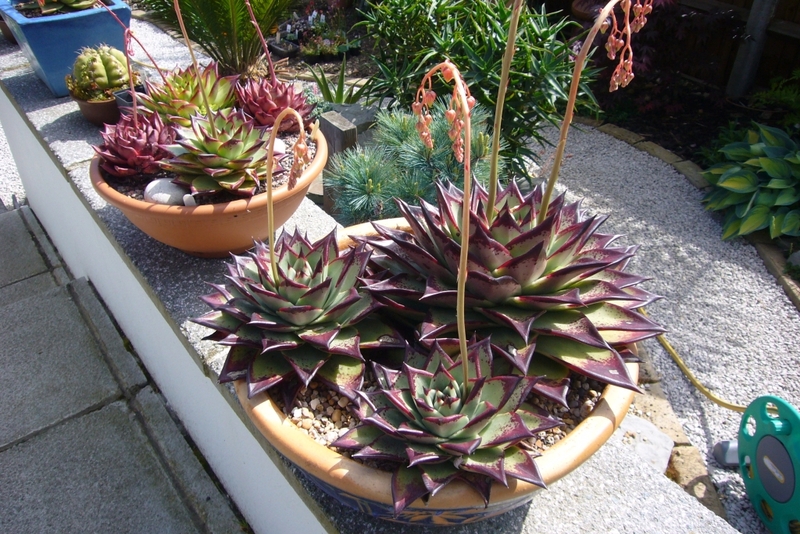 The echeveria agavoides in the front should also have filled out. They are not as wet tolerant, so next winter I may have to bite the bullet and cover them. 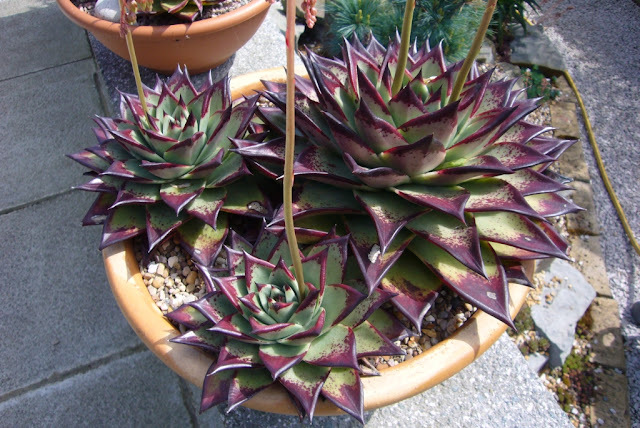 I know I said it was plants that live outside only this post, but my agavoides bowls are just looking too good. Lots of offsets in the mixed pot, but pretty hard to get past the ebonys! They are still getting darker having been in the unheated greenhouse all winter. I'm torn if I want to keep them together or give one it's own pot just to see how big it will get. As you know, I tend to over fuss my plants, so maybe this time I'll just let them get on with it and see what happens. 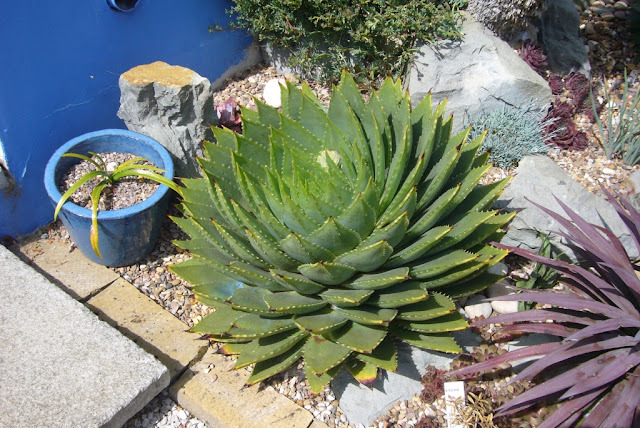 I'll save the agaves and greenhouse for another post, but it feels like we have got past the dangerous time of year and everything is into growth and can just be enjoyed. Wow, looking great! That Aloe polyphylla is perfection and your Echeveria agavoides are swoon-worthy. Thank you, the agavoides get pride of place over the summer. So no missing them.